The best thing you can do to upgrade or improve any bike is the tyres, this will make the biggest difference to your cycle, making it an easier and faster ride. In the example it shows a range of 60-80 PSI, I normally go for the higher end of the range, you can really feel the difference! 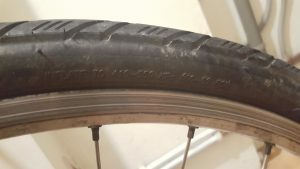 If you are cycling on the road then you need less grip and thinner tyres in general. If you are offroad then more grip and thicker tyres is normally the answer. People who have a hybrid bike or do a bit of both then there are many tyres that fit inbetween to give you the best experience. You can purchase tyres from sites like wiggle or sometimes the best bet if your not quite sure is to go to your local bike shop, tell them what you are using it for and your budget then they will recommend something that works. Next we have the wheels, they consists of a hub in the middle, some spokes and a rim a similar size to your tyre. When I first purchased my hybrid bike the wheels were reasonably cheap and I had a lot of problems with them going wonky. Normally this is because some of the spokes have gone a bit loose. The spokes all need to be at the same tension and a spoke key can be used to tighten or loosen spokes but this is very fiddly balancing them to the right tension. I found it was worth spending a bit of money on a decent set of wheels to keep you on the straight and narrow. Fiscal Stamps = Term used to denote issues made for payment of tax, duty or fees other than postage. Revenue Stamp = Issues made to pay tax or duty other than postage. When medicine duty rates were doubled, these stamps were attached to existing medicine duty labels. Bankruptcy Petition documents required special revenue stamps for payment of the judicial fees. 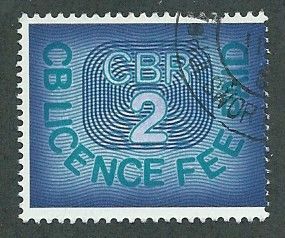 CB Licence Fee Paid stamps were issued between 1981 and 1990s on licences to operate CB radios. The Civil Service Revenue stamp was used to pay for examination fees to enter the Civil Service and could be bought from Post Offices by prospective candidates. Common Law Courts stamps were used to pay for several fees involved in the system of Common Law after the Common Law Courts (Fees) Act of 1865. The stamps were in use for ten years, being replaced by Judicature Fee stamps in 1875. Tax on an agreement to purchase shares or sucurites. Introduced as a penny rate by an Act of 1860, extended in 1888 and 1893, and made into a sliding scale 1910 when the use of these adhesives became obligatory (previously, general duty embossed stamps were permitted). Where several sales of stocks were included on one contract note, each sale was taxed, hence the need for a series of values when the rate was originally simply 1d per contract. 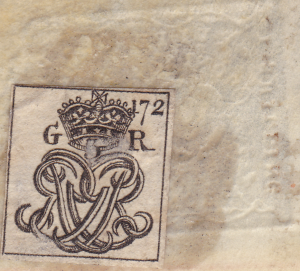 Most contract notes issue exist with either the overprint inscription in thin or thick letters. Special revenue stamps on blue base paper for the payment of judicial fees were attached to the document. A tin strip was used to attach the two together just like you would use a stapler today.The name of the debtor was written partly on the stamp and partly on the document and then the embossed impression was made. Cypher adhesive labels were used as a security device to secure the ends of the tin strip. 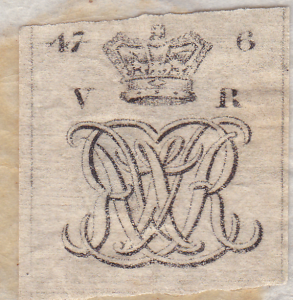 This was the first adhesive stamp from Britain and was used to cover the staple on the reverse of the document. It was line engraved with the royal cypher and its position in the sheet. Originally they bore the Georgean Cypher but in 1837 it was changed to Queen Victoria’s Cypher. Later in Queen Victoria’s reign the label was changed. 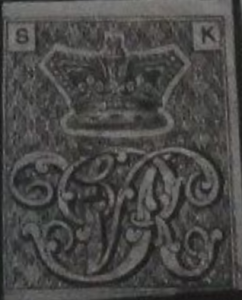 The new label was given an engine turned background to the more highly engraved Royal Cypher, it was also given corner letters which indicated the position of the label in the printed sheet. Television licences first appeared in 1946, from 1968 a higher fee was payable for a colour receiver. 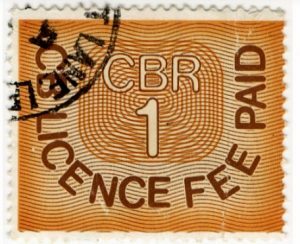 From 1972 licence stamps were made available at Post Offices; the fee could also be payable directly to the Bristol Licence Office. Tax on the transfer of stocks and shares. This tax was payable only once a year, so if shares were transferred several times in a year, only the first transaction was taxed. The stamps were dated to show their period of validity. Rates were based on the face value of the shares or security – 3d below £25, 6d below £50, 6d per £50 thereafter. I found a solution to my problem when Windows would search for updates, but then when it started downloading it would stay at 0% forever. I started by stopping the Windows Update service (in my case the service proved to be frozen so I restarted my computer and disabled the service before it starts) and the Application Experience service. After that I went to the C:\Windows\SoftwareDistribution folder and pressed ctrl+a and shift+delete to empty its contents. Mine contained more than 70,000 files so it took a while. I started Application Experience and enabled Windows Update. I let it check for updates and try to download them. 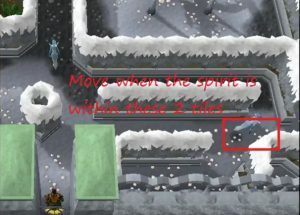 It worked perfectly. Do not worry about deleting important windows files in this case. The contents of SoftwareDistribution is used as a cache and data for Windows Update. When Windows Update starts again it rebuilds the cache repopulating it with up-to-date versions of the files and chewing up a ton of harddisk space again.